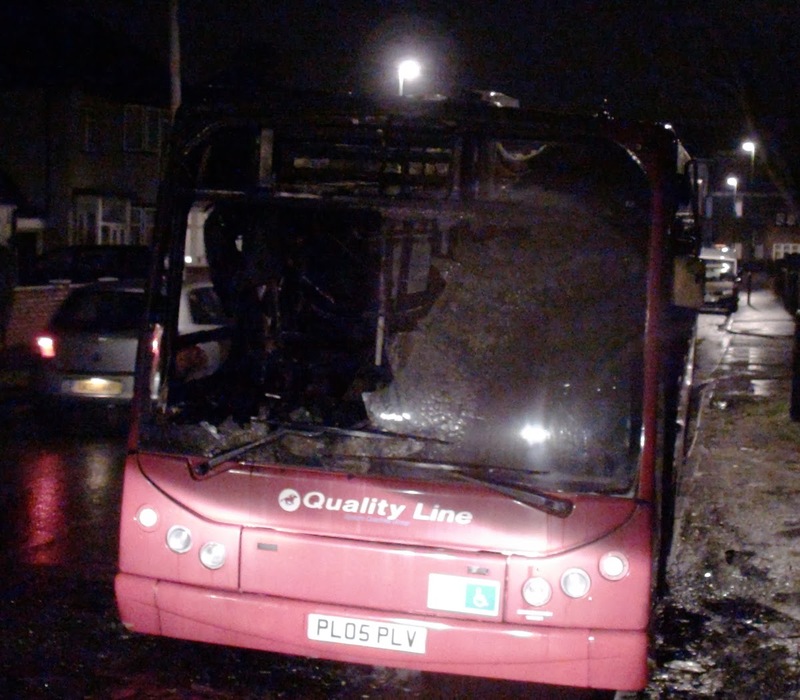 The S3 bus caught fire this evening travelling up Green Lane. 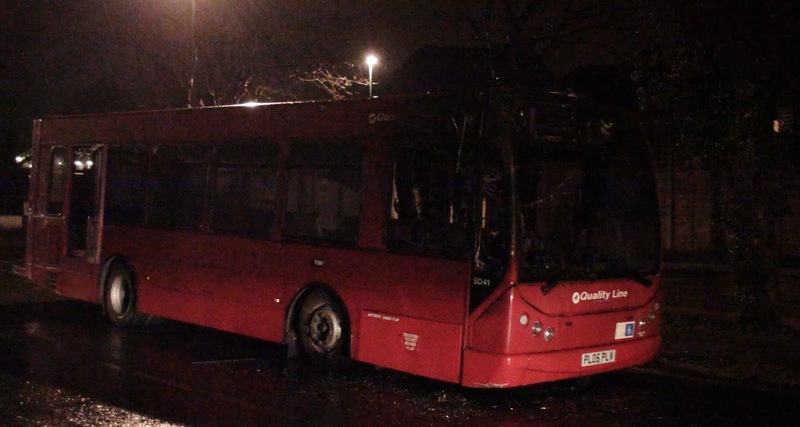 The fire apparently started under the dashboard at around 8:15pm and luckily the driver was able to get the few passengers and himself off the bus before the front of the bus exploded into flame. Police and firefighters arrived on the scene, just north of Pembury Avenue, around 8:30, blocking the road both ways there and put the fire out leaving the acrid smelling blackened mess that now remains. The blog understands that the wreck should be removed some time this evening. 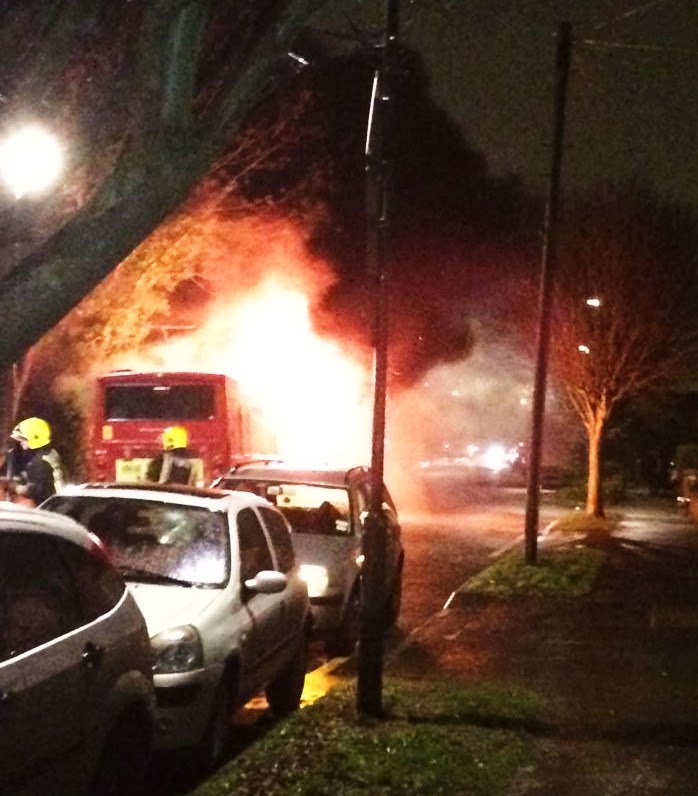 Thanks to blog reader Vaughan who was on the bus when it caught fire for the top picture.